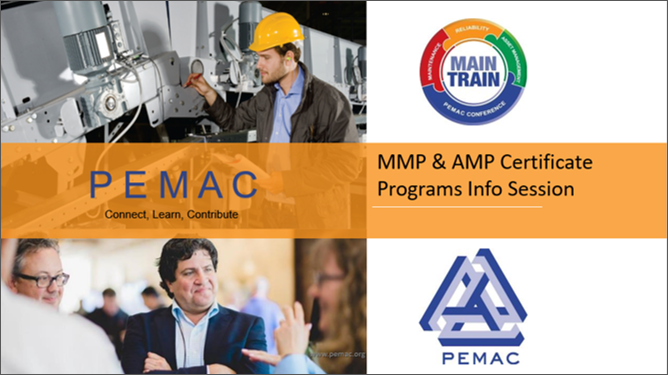 Do you want to know more about the Asset Management Professional or Maintenance Management Professional Certificate programs? Learn who the programs are ideal for, more about their in-depth content, where they are delivered and more. We invite you to participate in one of our upcoming live information sessions held throughout the year and ask questions to one of our knowledgeable instructors. Visit our events page to register for the next live event. Can’t wait for a live session? Alternatively, you can view a recording of our most recent information session by registering below. For more information about the certification programs click here or email pd@pemac.org.